Latest > The Atlantic Golf Coast is calling!! 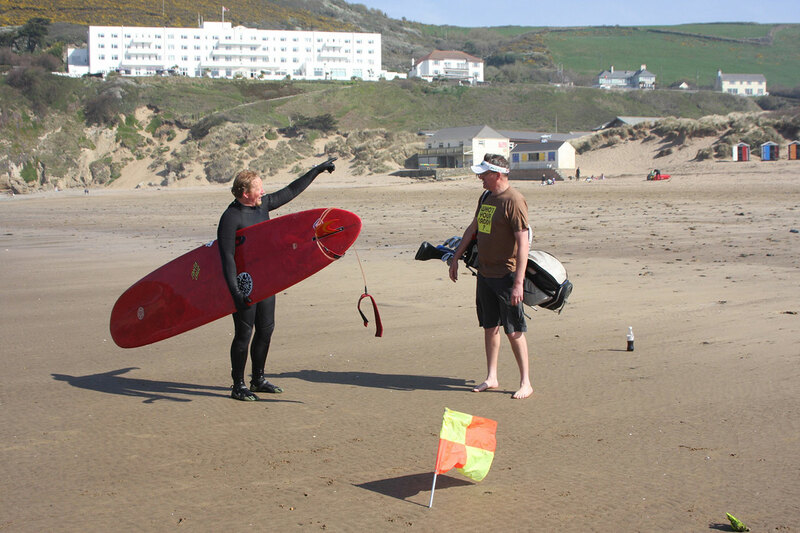 "I think you'll find Saunton GC is over that way, mate. Allrrrooiiigght boyyyy??!" Blimey indeed. We left GP HQ in Sussex just three and a half hours previously and here we are in another world – North Devon world, with the world’s second oldest golf course – Royal North Devon no less – at our mercy. Royal North Devon GC is unbelievable. 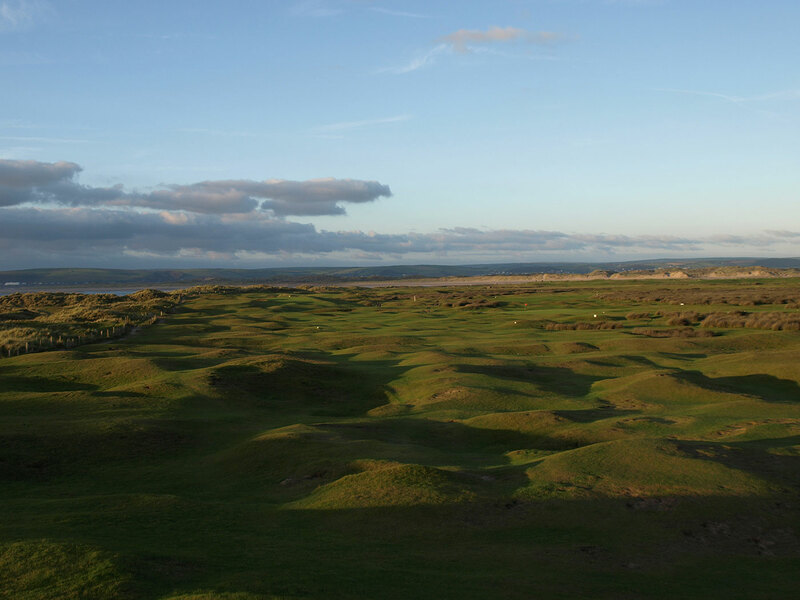 It might be quite flat and, at first glance, a bit featureless but four holes in you know you’re in the midst of a cracking golf course. Today, we’re assured by the locals, the wind is benign. To you and I it’s blowing a hooly but it doesn’t take very many hearty “Ahhaaaah? You think this is windy??! !”s from the locals for us to realize today is a good, no, a very good day to be playing RND. This is commoners land and is pretty much run by the commoners. In this case sheep and wild horses. They are a wonderful feature of this golf course and you are never far away from blading a Pro V1 dangerously close to the forehead of a horse or chunking your Srixon Z-Star into foot-long sheep fur. Try playing from that lie. Royal North Devon thrives on its pure, unadulterated simplicity. Only St Andrews (1547*) is older than RND which was established in 1864. This represents a gap of some 317 years between the world’s first and second golf courses. Which means, that for some time, skeptics could quite reasonably assert that golf ‘would never catch on’. How I wish they could see us now. Walking into the clubhouse at RND is like walking into a time warp. The place oozes history with its museum and there are more artifacts than you can shake a niblick at. 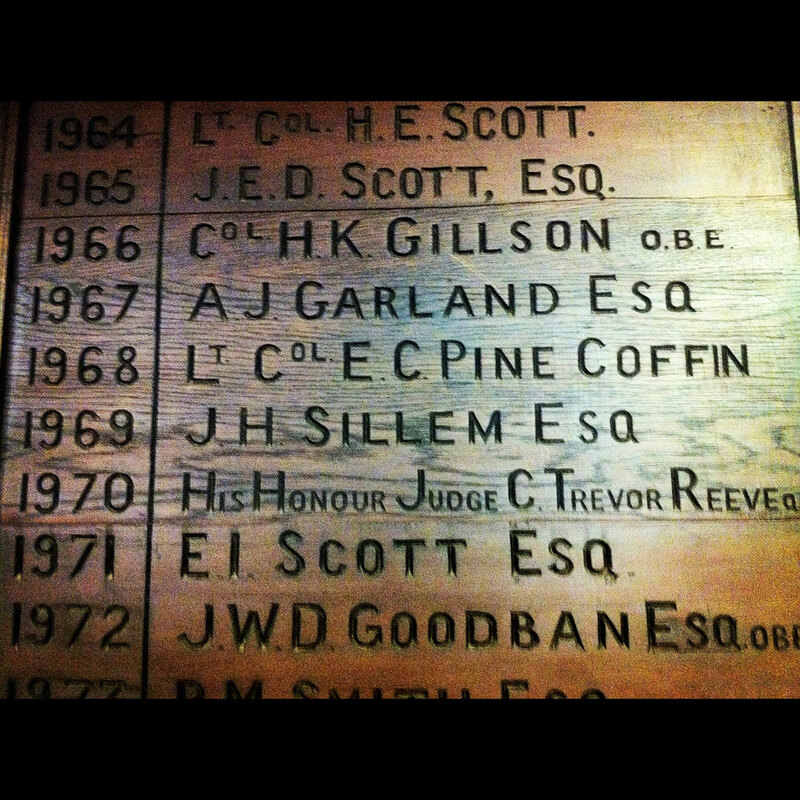 But my favourite RND clubhouse feature is the name of Colonel Pine Coffin which adorns the Captains board for 1968. Colonel Pine Coffin. I mean, that is weird right? We arrive in Saunton as the sun is setting. The scene is quite simply stunning. 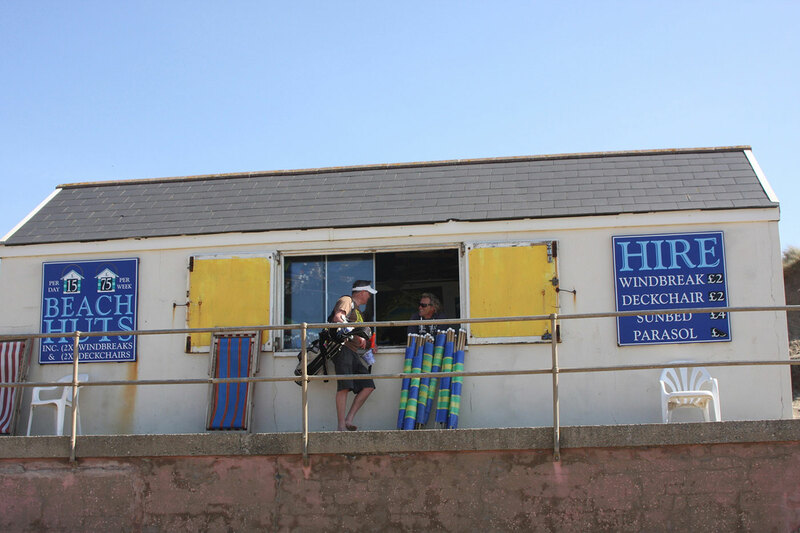 The hotel is a large white art deco building set onto the cliffs at Saunton Sands. You can see it from the RND golf links which is over 10 miles away across the bay. Beach golf. It's the greatest! Two or three times a year, the beach is cordoned off to allow military transport planes to practice take off and landing on sand. That’s how big it is! Today, though, there seems no immediate danger of losing your deck chair (or your dignity) in the back draft of a rogue Hercules jet. Locals and tourists walk, swim and play, and the surfers kick back in a four-foot swell. We, on the other hand, see a perfect opportunity to create a par three course. The sandy greens are surprisingly true and fast – registering 11 on the stimp’. 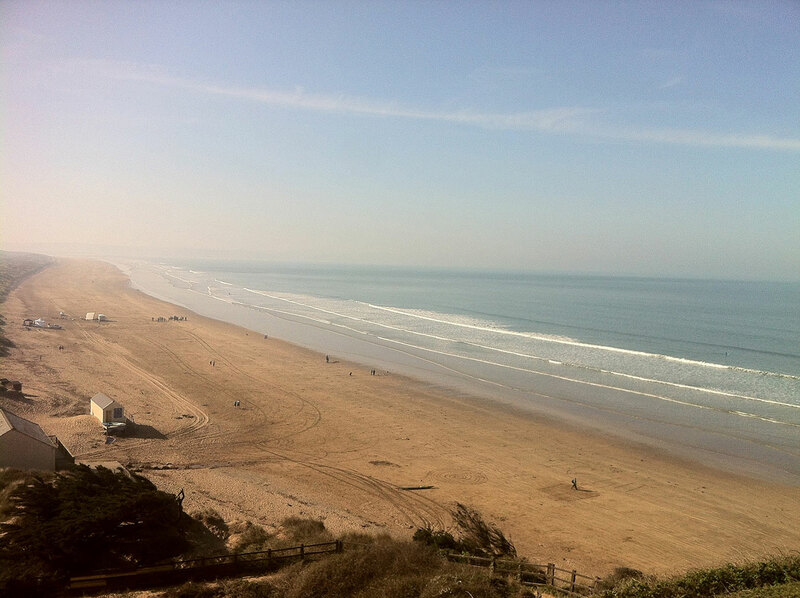 Not surprisingly, the vast beach at Saunton Sands has been used as a location for many films over the years and – if you like that sort of thing – it is where the video for Robbie Williams’ Angels was filmed. As we look out there is indeed a large film crew hard at work eating bagels and looking important. Set back from the beach is a vast expanse of dunes and grass. There is a golf course in there somewhere, Saunton Golf Course. But you can’t see it. It’s completely camouflaged by itself. As we sip ice cool beers and gaze at the sun as it dissolves over the Atlantic, we wonder what glories will become of us in the morning when we venture forth onto the links. First established in the 1890s and later updated by the legendary architect W Herbert Taylor, Saunton Golf Club boasts two magnificent 18-hole courses (East & West). It wasn’t long before the greatest players in golf were clambering to get a piece of the action. 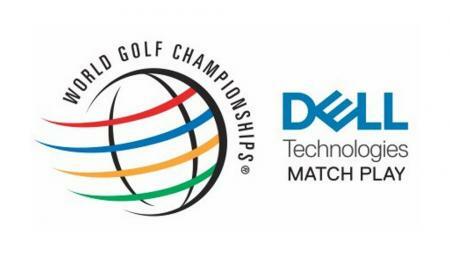 Exhibition matches involving Open Champions Harry Vardon, J.H. Taylor James Braid and a young Henry Cotton took place here in the 1920s and 1930s. The course (we played the East) rolls through the dunes majestically and requires thought and imagination on every shot. The greens are immaculate and, despite The Brigadier’s foozling on the fairways, we walk off three very contented GolfPunks, though Snapper wears the look of a man for who’s fast deciding that this photography business is seriously getting in the way of his golf. Some food we thought you might like looking at. Back at the hotel we retire to the bar in anticipation of a slap up dinner at the famous Saunton Sands restaurant. They’ve all had dinner here: Edward & Mrs Simpson; Sir Conan Doyle and Sir Ian Botham. We peek through to the curtains to see what’s what. The restaurant is dominated by two magnificent art deco chandeliers, and while the rest of the décor looks like it’s been designed by 28 different people arguing over an interiors look-book, it’s undoubtedly a very fancy affair. Back at the bar The Brigadier begins to express concern at the cut of my outfit. Now, a bit of background about the Brig: The Brig comes from different stock than the rest of us. When we were at ‘normal’ school. The Brig was attending the posh Westminster school in London. The Brig doesn’t run a bath, he ‘draws’ a bath. Better still, he’d have his valet ‘draw’ his bath. If he had a valet, that is. It was the way he said ‘you’. There was a disdain, a sense of ‘poor naïve fool, have you never been to dinner at a restaurant before?!’. The Brig was genuinely depressed when we sat down for dinner. They’d let us all in and not raised an eyebrow. In his eyes you could see the Brig pining after the olden days when scruffy jeans barred you from the finest places, when England still had an empire and the sun never set without asking permission first. “Standards,” he sighs under his breath. 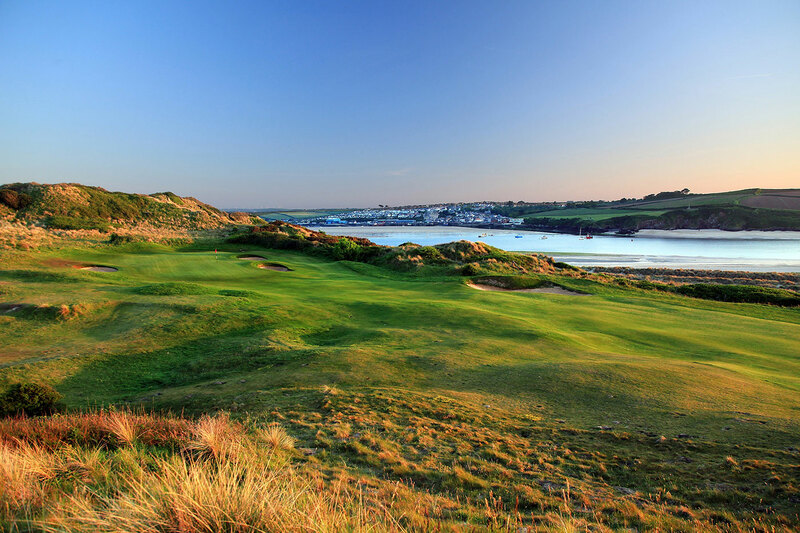 Situated on the North Cornwall coast, St Enodoc GC overlooks the Camel Estuary, with the trendy seaside town Padstow on the far side, and to the North out across the Atlantic. An impressive list of famous players and royalty have played here over the years, including the Prince of Wales in 1927. But in terms of legacy, the place belongs to Poet Laureate, Sir John Betjeman. He even insisted on being buried here. 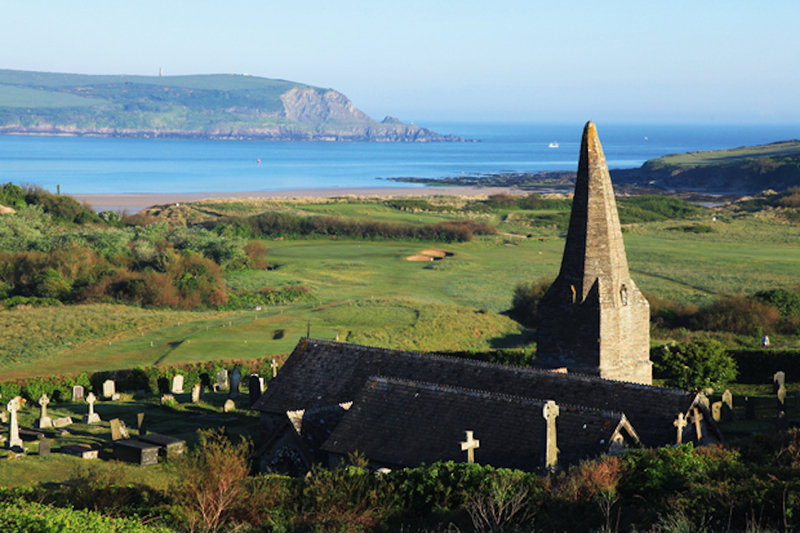 Betjeman had a lifelong love affair with Cornwall and wrote many poems about the area. Consequently, many of his fans made pilgrimages here (most of them taking up golf on his say so!). He had a house close to the 12th hole and was buried in the St Enodoc churchyard in 1984. When you get to the 12th, you have to have a look around and find his grave. You can’t help thinking that Betjeman would have found great amusement in the fact that, as his coffin was carried the length of the 10th hole in driving rain, it was being followed by a cortège of the London literary press corps, dressed up like dandies and completely unprepared for the monsoon that descended on them. 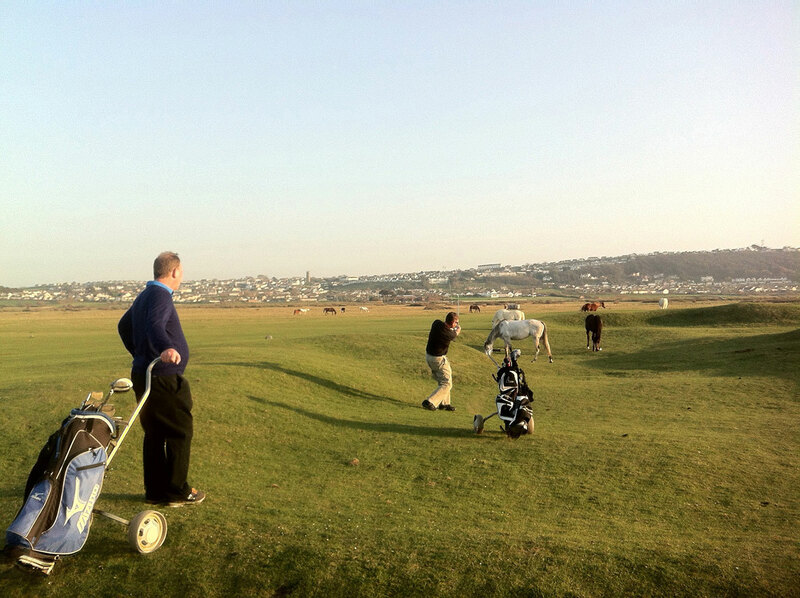 Never one of the World's great golfers (a foozler of the highest order) he was nevertheless made an Honorary Member of St Enodoc in 1977 and is renowned for his poem “Seaside Golf” which relates to the 13th hole. In fairness neither Snapper, The Brigadier or I threatened to record many Betjeman Birdies at St Enodoc but we walked away with some priceless memories, not least the sixth hole. At 378-yards it doesn’t appear to be the hardest par four. But, after a semi-blind tee shot, if you are lucky enough to find the fairway, you are confronted by one of the largest bunkers in the world – the Himalaya. Any tee shot that ends up on the right side of the fairway will leave you the daunting task of launching your second high and true all the way over it to find the green. Magnificent. We arrive at Trevose Golf & Country Club to a warm welcome from the Gammon family. The Gammons are famous round these parts having been associated with the club for many years and they’ve put us up at the lovely apartments at the club. After a couple of medicinal drinks, we retire to bed, high on our links adventure. And beer. If there’s a golf hole that depicts the splendor of the Atlantic Coast more than the 4th at Trevose Golf & Country Club, I will gladly eat my hat and quite possibly gnaw the visor of yours. 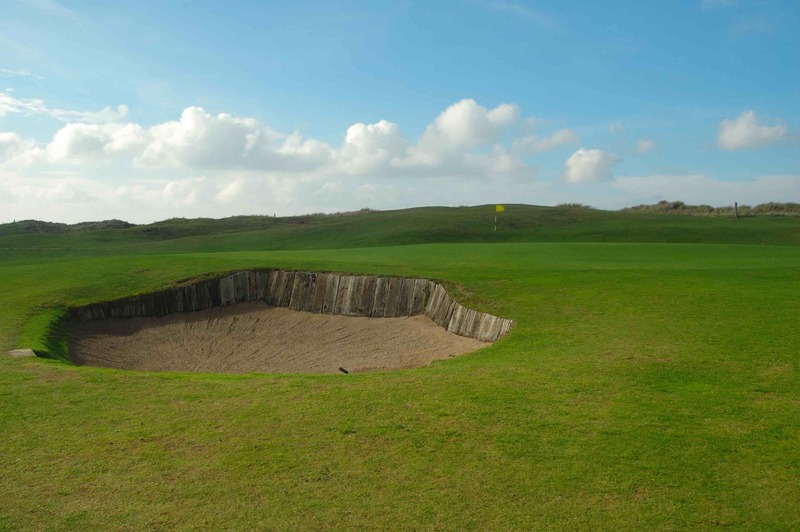 It is a staggering piece of good fortune that this golf hole exists, for it is the type of thing that gives good men inspiration to become great, bad men cause for serious reconsideration. It feels like you can reach out and touch the rollers that rise up and crash into the rocks and beach right next to you. 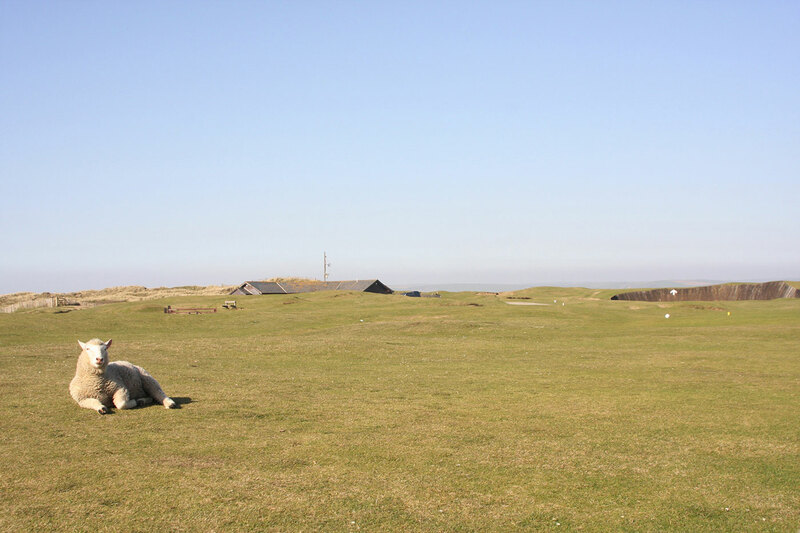 The Championship course was designed by Harry S Colt and he must have licked his lips when he first stood on top of the promentary on which the club house was built and from where the land sweeps gloriously down away to the sea. This is real Cornwall country where little has changed for decades. Surfers cruise the rollers at adjacent Booby’s Bay, seabirds sing, wild flowers bloom in the hedgerows, and sandcastles crumble under the incoming tide. Give me an ice cream now and I’m Cornwall Central. "Whatdyamean this isn't the club house?!" 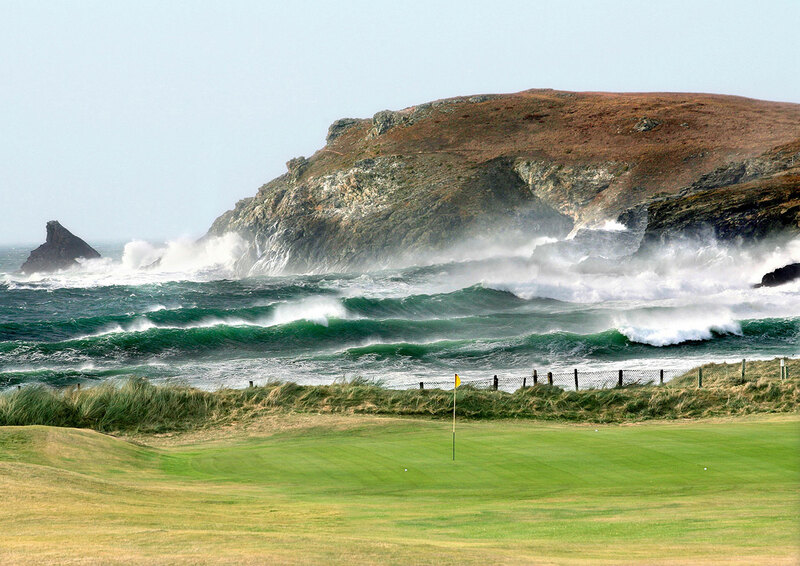 Trevose is one of my absolute favourite places in the UK. You really do feel tucked away from the world with only golf, surf and a well-stocked clubhouse bar to concern yourself with. No wonder so many Londoners are members there, and you’re as likely to bump into a TV presenter or other media type as the locals. Then there’s the fantastic Short Course that is absolutely brilliant for taking young kids and beginners on. It’s a mini version of the real thing: really well laid out, always in good condition and a great way to brush up on your short game. It’s where my kids, then seven and five, fell in love with the game and where my wife threatened to take the game up. I have to be honest and say I’d never heard of Burnham & Berrow and, in truth, after the glories of the previous four days, I wasn’t overly excited about our last port of call. The Brigadier claimed to have played it many years ago (June 1875, I think he said) but couldn’t remember anything about it. This was not a good sign because the Brig usually has an elephantine memory where golf courses are concerned. 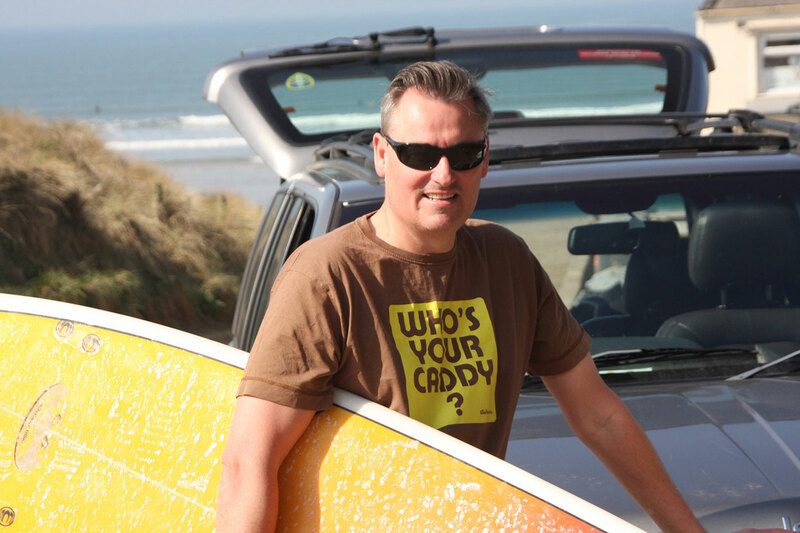 He can normally tell you exactly where, when and how he foozled all the way back to when he first picked up a feathery gutty and built his first sand tee. Well, let the good Lord of Golf clip me round the ear and shout ‘fore’ very loudly in my ear. 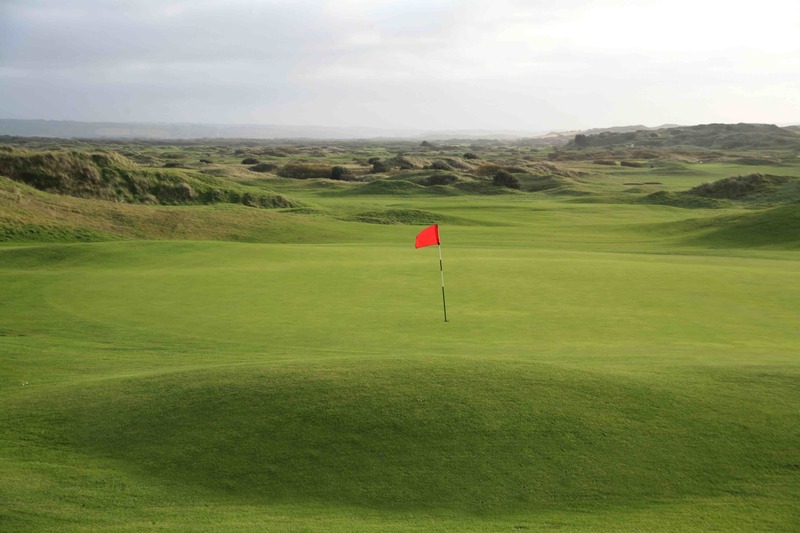 Burnham & Berrow may not be the most famous of the Atlantic Coast courses but you’d be mad to miss it. There’s something reassuringly wild about B&B. Its undulating fairways and slightly overgrown areas of rough give you the sense of a very natural golf course. It is what it is, and it was built on ‘as you find us’ land. In 1913 Harry Colt produced a blueprint to turn the course into the challenge it is today. Later, Colt invited Dr Alistair Mackenzie, who was later to design Augusta National to give his views on the new 9th and 10th holes. The first professional was none other than J H Taylor who would become five time Open winner. Colt, Mackenzie and J H Taylor: Now that’s how to start a golf club. We played the Championship Course (there is also a lovely nine/18 hole Channel Course). It may well have had something to with shooting seven straight pars (missing three very makeable birdies in the process!) 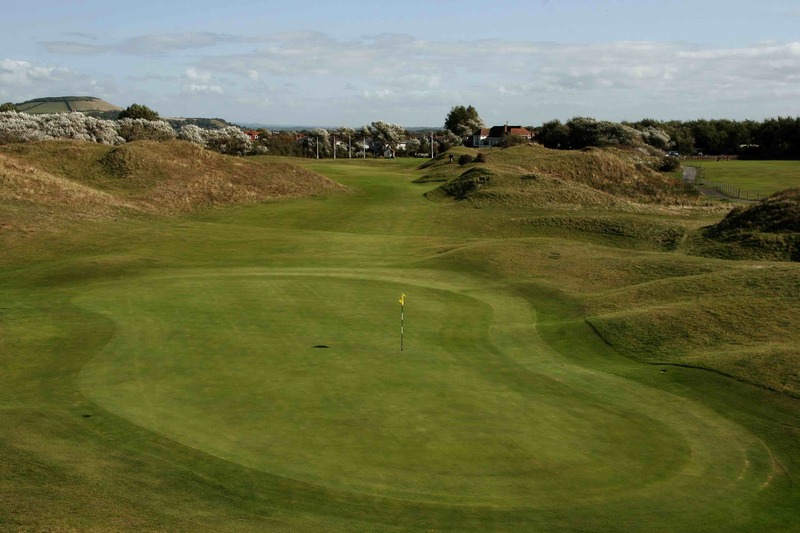 on the way to an 80 on a course I’d never played before, but I absolutely loved Burnham & Berrow. In the clubhouse after the round we were unusually quiet. Our Atlantic Coast golf odyssey was coming to an end. We had that ‘the party’s over’ feeling in our stomachs. Each one of the golf clubs had a compelling and fascinating history and all have hosted major amateur events over the years: Open qualifying, Brabazon Trophies etc – and continue to do so. As Sir Nick Faldo says of Saunton Sands, only logistical factors have prevented an Open being played down here. All of which is the Open’s loss and our gain. Next time you’re planning a golf trip, forget about Scotland and Ireland. These courses are there waiting for you right now. The Atlantic Coast is waiting for you. Par 72, 6,653 off the whites, and 6,398 off the yellows. Green fees: 18 holes from £55. Tee time bookings: 01237 473817. As this is holiday central there are hundreds of places to stay. Royal North Devon recommends a range of hotels, B&BS and self-catering apartments. 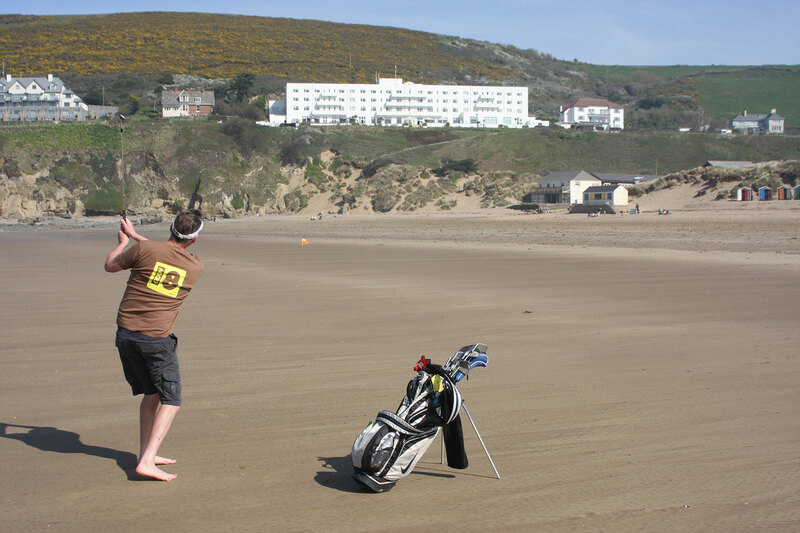 Simply go to: http://www.royalnorthdevongolfclub.co.uk/Local/local-accommodation.html. Well, for once we didn’t as we had to crack on to Saunton Sands Hotel for the night. We made up for lost time there. Best advice would be to stay in the golf course’s bar and enjoy the amazing collection of golf memorabilia – as fine a collection as there is. Par 69, 6547 off the whites and 6108 0ff the yellow. Green Fees: 18 holes from £45 in the winter to £70 in the summer on the Church Course. Handicap certificates are a must. This is a very popular holiday spot, so there is accommodation to suit every pocket, from the luxury Enodoc Hotel (www.enodoc-hotel.co.uk) to bed and breakfast at the charming Dormy House (www.dormyhouserock.co.uk). You are in Rick Stein land (www.rickstein.co.uk) so you can choose between his famous fish restaurant, St Petrocs and his fish and chip shop. Or you could just go the pub. Par 72 / 71, 7,079 off the whites and 6,415 off the yellows. 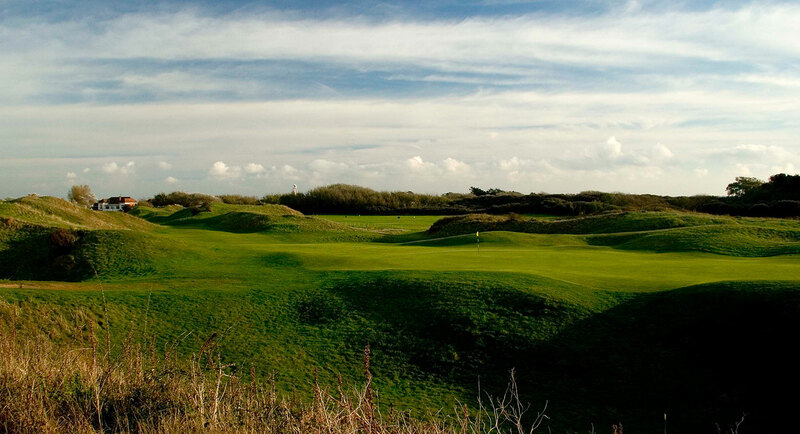 Green fees: From £70 for 18 holes on the championship course. General Enquiries Tel: 01841 520 208. 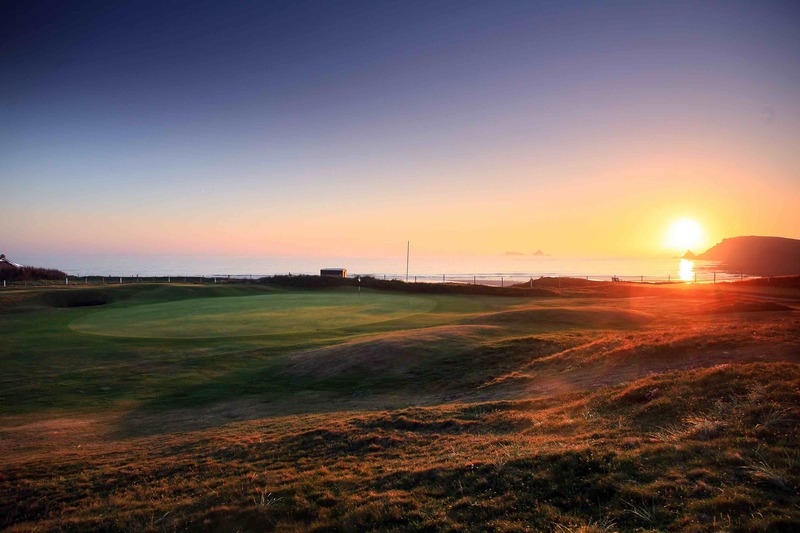 Trevose Golf & Country Club (www.trevose-gc.co.uk) offers a range of 3 to 5 star rated self catering apartments and lodges, for groups of between 2 to 6 persons. 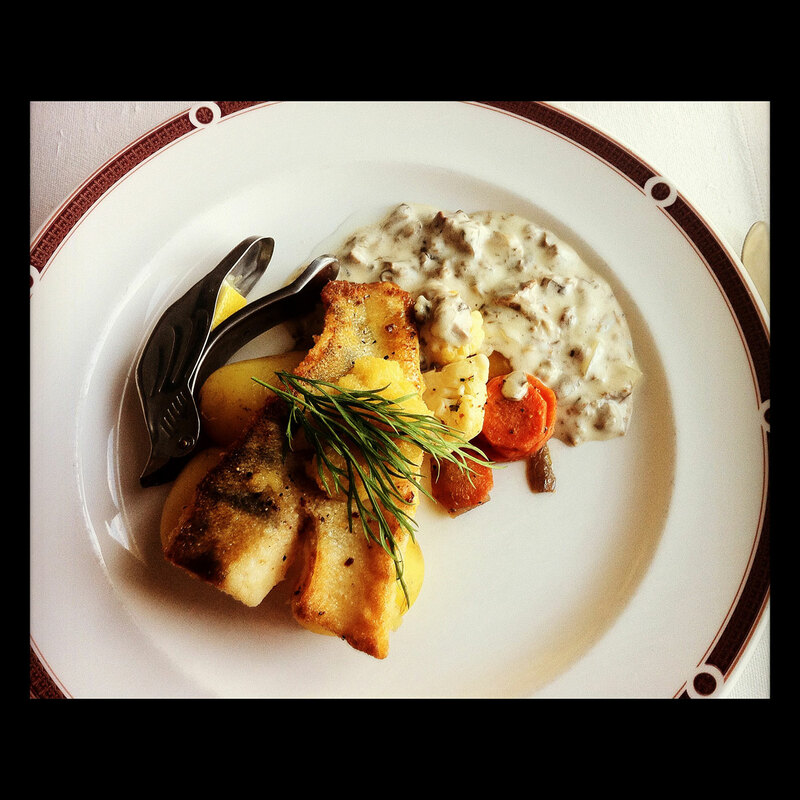 There is also an excellent restaurant in the club house, so there’s no need to stray too far from the golf course. 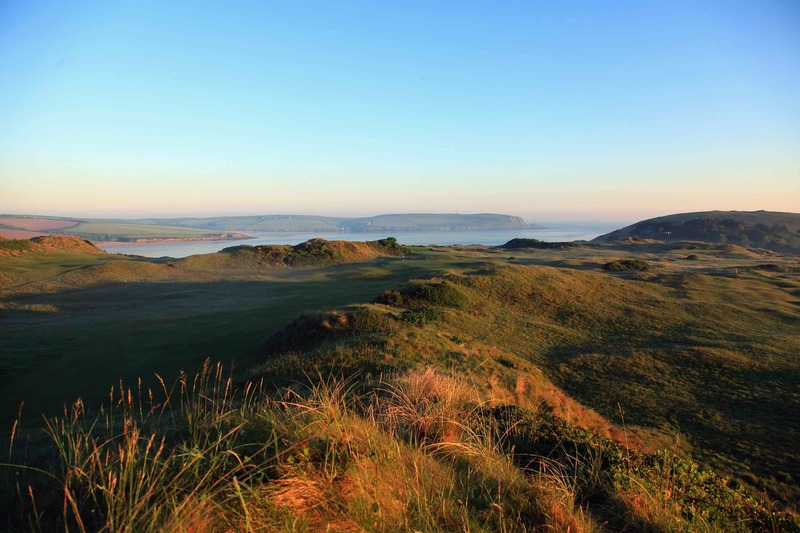 Green fees: £77 for 18 holes on the East or West Courses. Handicap certificates are required. We stayed at the famous art deco Saunton Sands Hotel (www.sauntonsands.co.uk), where you can get high season rooms from £135 per night for 2- 4 nights. Jacket and tie preferred for dinner. But we Colonels like that kind of thing. 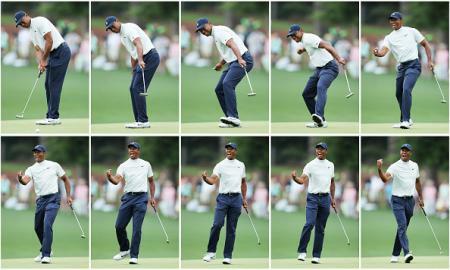 Par 71 6793 off the championship tees, 6616 off the whites and 6383 off the yellows. 18 holes on the championship course from £75. Handicap certificates are required. There are also restrictions on 3 and 4 balls, so make sure to check when booking. Pro Shop Tel: 01278 785760 Ext 3. We stayed at the friendly Woodland Country House Hotel (www.woodlands-hotel.co.uk), which has a well stocked bar. Well, it was when we arrived. Peter and his wife Glenda were great hosts, and are actively courting golfers.